If you’re new to bowhunting and just buy your first bow, you’ll probably want to try drawing, even without an arrow. But an experienced hunters will tell you not to. Why dry firing a bow is so bad? It’s dangerous enough to not to try at least once? To anwser these question, I will show you how dangerous dry firing is in the guide below. What is dry firing in archery? Dry firing is a term for the action of firing a weapon without ammunition. In archery, dry firing is when you draw and fire the bow without an arrow. Dry firing is common firearm practice method. Using real ammo is luxurious when you’re practicing and trying to be familiar with the guns. But there is no acceptable reason to dry fire a bow. Shooting without an arrow can’t be considered as practice. The more important thing is that dry firing does have vital effects on your weapon and health. You are told not to dry fire your bow, but sometimes you just accidentally make it. This makes dry firing more dangerous for hunters. Normally, the cause of dry firing is from yourself. It isn’t a rare situation at all. Everyone can’t stand before the temptation of drawing a string when they’re holding above. When they don’t know how dangerous it is, they will try once. Even when you are taught about the results, you may still underestimate it and let that curious feeling seduces you. But sometimes, or even quite usually, the bow itself causes the dry firing. When you use the bow, you get chances to loosen its parts such as the arrow nock. if you don’t notice, you may still repeat using the gear with a loose nock. And it causes dry firing. Another cause of dry firing is something not from the hunter themselves, but the entire bowtech industry. 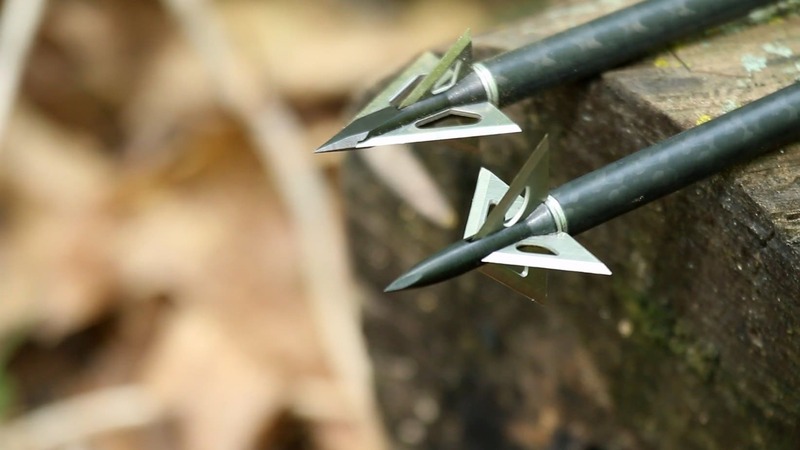 Manufacturers today makes the arrows lighter and lighter. Users also love it because the heavier the arrows are, the more stress the users will get. But when your arrows weigh too little, this means you’ll get dry firing. Because such a light and weak projectile cannot stand the powerful and sudden energy from the bow. Firing a untra-light arrow means dry firing your compound bow. 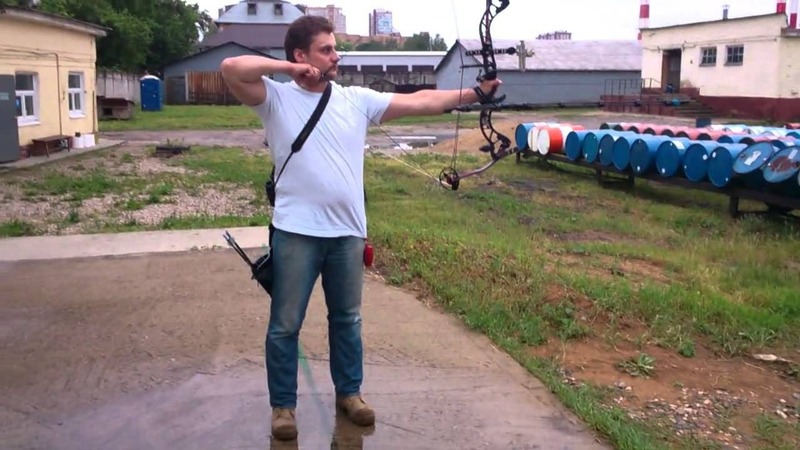 Regardless of the bow’s types, dry firing is a prohibited action. Compound bows are the most vulnerable to it: they are complex and made detailedly, so they have more parts and more joints. So, compound bows are susceptible to shocks than recurve or traditional long bows. But for any kinds of bow, dry firing still have the same effects. 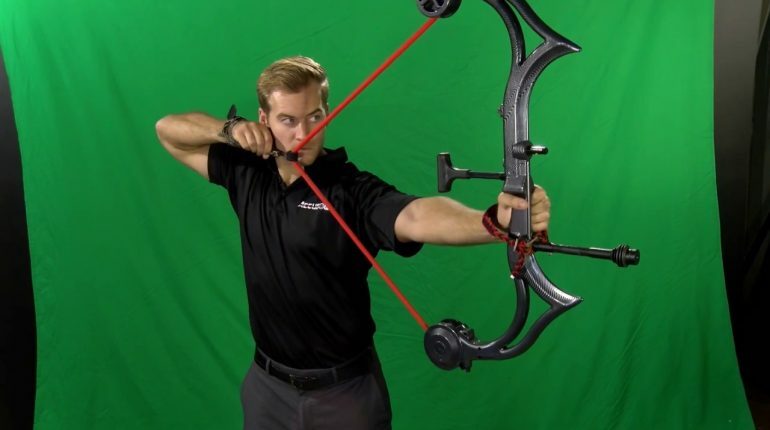 It can break the limbs, risers, and cams, etc… When you draw the bow, you create a powerful force that store in the limbs. This energy is even greater for the compound bow. When you dry fire, you don’t have the arrow to absorb this mighty strength, and thus put it back to the bow. Thus, you can delaminate the limbs or break the riser of your beloved gear. It the force is too high, you can entirely destroy your weapon as every part will fail and fall apart. The first and easiest to break one when you’re dry firing a bow is its string. It is where the force directly put on but is the weakest part of the system. It’s unlikely to withstand the powerful energy when you draw. Moreover, if there isn’t an arrow, the string and the rest of the bow will be 99% misaligned. You can move it to the right or left, or torque it…anything that derails the string. If the string and the bow don’t stay in the same line, energy can’t be transferred properly. You know what will happen next: string snapping. Dry firing isn’t recommended for any kinds of users. It’s not because the action destroys your bow but also does harm to your body. There are many health issues you can get if trying to do that. As you don’t have any arrows to counterbalance the force when you’re drawing, you will take it. A large amount of energy will go to your muscles, arms and shoulders. Remember there are many main arteries in these organs, so arterial pains are the most common issues you’ll face. There is a common scene that a guitarist is hit by his guitar’s broken string. And now you can also experience that, but for a more serious result. Bow’s string is stronger and it stores more energy than a guitar’s, of course. When it snaps, it can hit your arms and the collision can hurt you and makes you bleed. If you don’t wear glasses or eye protection, it can also hit your eyes and cause blindness. If you’re lucky, you can avoid any serious incidents mentioned above. But there’s still one bad thing that you sure can’t avoid. It’s the financial lost. You’re bow are now broken, but you won’t receive any warranty money for it. Because you are the one who doesn’t follow the instructions and break it. The bow itself isn’t failed and the manufacturers didn’t do anything wrong. So, you can’t ask for any warranty fees or support. When you bow is gone by dry firing, your money does too. With all the risks above, dry firing should never be taken. Remember not to try it for the rest of your life. But you said that dry firing is also accidental, what can I do in that case? You have the precautions. You can stay away from unintentionally dry firing your bow by applying the following precautions. Carefully check for loosened nock, joints or anything strange with the bow. Only shoot when you know for sure that the bow is completely setup and in its good state. As said, arrows that are too light in weight can lead to dry firing. A little more mass doesn’t dramatically change either your draw force or accuracy. 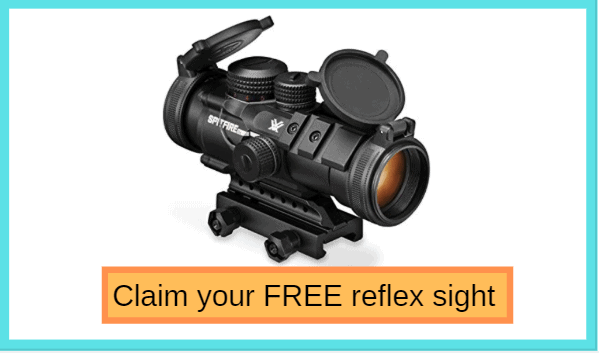 But you’ll be safe and more comfortable when shooting, thus you’ll perform better. Stop using and inspect the bow after dry firing. If somehow you dry fire your bow, don’t continue to shoot again. Instead, you should check if there is anything wrong with the bow. There is a high chance of hidden cracks or splits somewhere. You can use a magnifier to find, or use a softball to locate the breaks. Serious damage to the bow isn’t only the reason why dry firing is so bad. It also harms and threatens the user life. Unlike in firearm, there is nothing good with dry firing a bow. Nice day guys, It's nice to meet you here in my favorite corner - this awesome outdoor blog. Here I share my personal experience as well as my friend's reviews who also are outdoor addicted. If you want to start discovering about outdoor life or thinking about the detail & mystery of each item ( Scope, gun, knife, rope ....) this place is right for you! Good luck and enjoy!